A file with the MDA file extension is a Microsoft Access Add-in file used for extending the functionality of the program, like for adding new functions and queries. Some early versions of Microsoft Access used MDA files as workspace files. ACCDA replaces the MDA format in the newest versions of Microsoft Access. Some MDA files aren't used in Access at all, but instead might be associated with Yamaha's Clavinova piano or Creative Technology's MicroDesign software as an Area format file. Still other MDA files may be unrelated and saved as Meridian Data Slingshot files or Rays Media Data files, or may be used with software tools called EPICS. The vast majority of MDA files you'll encounter will be Access Add-in files, meaning they can be opened with Microsoft Access. Microsoft Access uses other formats that are similar in name to MDA, like MDB, MDE, MDT, and MDW. All of those formats will open in Access too, but if your specific file doesn't, be sure you're not misreading the extension and it's not really one that just looks like an .MDA file, like an MDC, MDS, or MDX file. If your file is definitely using the .MDA file extension, but it doesn't open with Microsoft Access, it may be a type of audio file that pertains to Yamaha's Clavinova piano. The program YAM player should be able to open that format. For MicroDesign Area files, all we have is a link to the Creative Technology website, but we don't know where (or if) you can download the MicroDesign software. It seems that this format might be a type of image file, which means it's possible you could rename it to .JPG or .PNG and open it with any image viewer. We also don't have much useful information on Meridian Data Slingshot files except that they were originally used by Meridian Data's Slingshot software. The company was later acquired by Quantum Corporation, which was then purchased by Adaptec in 2004. We've no information for MDA files that are Rays Media Data files. EPICS stands for Experimental Physics and Industrial Control System, and its related software uses MDA files too. Given that there are a few different possible formats that use the .MDA file extension, you might have luck opening the file with a text editor or the HxD program. These applications open any file as if it were a text document, so if opening the MDA file shows some sort of identifiable information (like some header text at the top of the file), it may point you in the direction of the program that was used to create it. In a reverse problem of sorts, you may have more than one program installed that opens MDA files. If that's true, and the one that opens them by default (when you double-click on one) isn't the one you want to open them, that's easy to change. 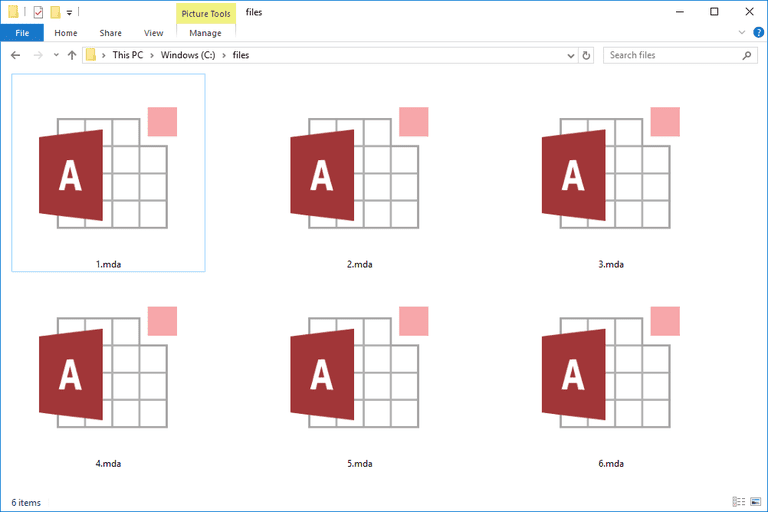 Here's how to change file associations in Windows. Although there are plenty of unique uses for MDA files, we don't know of any file converter tools that can change one to a different, similar format. Your best bet is to open the MDA file in the appropriate program and see what options it gives you. Software that supports file conversions generally allows it through some sort of File > Save as or Export menu option.